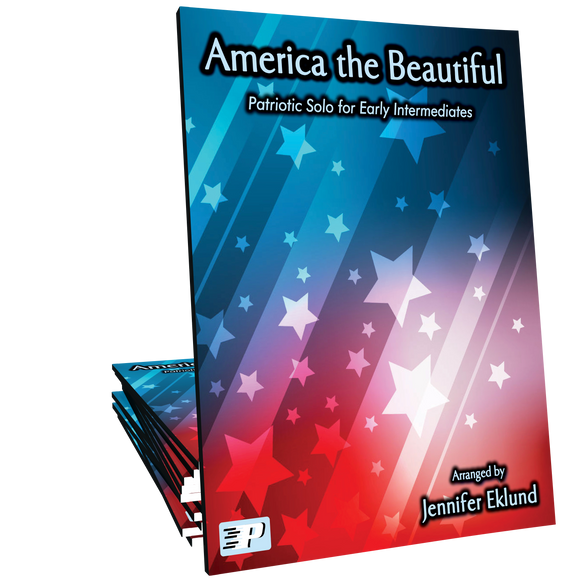 Celebrate your patriotism with this early intermediate level arrangement of America the Beautiful. Arranged by Jennifer Eklund. This is a great arrangement! I have used this for many of my students and the arrangement is within their reach while still sounding full and finished.